This summer several youth workers decided to bring their youth groups together to participate in a shared, common experience around the life and work of Jesus Christ. Unlike most collaborative youth group efforts, this one is digital in nature. These youth workers shot some pretty high-quality teaching videos that each group watches and collaborates around. So far there are 79 churches in 17 different states with over 2,200 students registered to view the series together this summer. 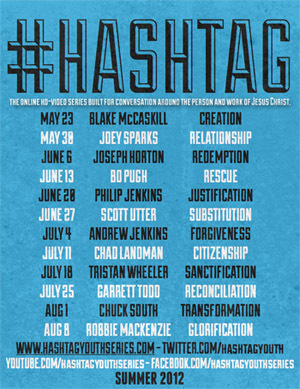 In total, the experience will include 12 weeks of FREE online video messages focused on the gospel for young people. Each lesson comes with a discussion and activity guide, mp3, and other leader resources. Groups can register to view the videos (released one per week May-August 2012) and receive the resources. To get your hands on these videos and resources, you’ll have to register a free account on their site, but you can check it out just by visiting their site at the link below and see what you think.